Kansas born fighter Bobby Lashley talks about his career and future. 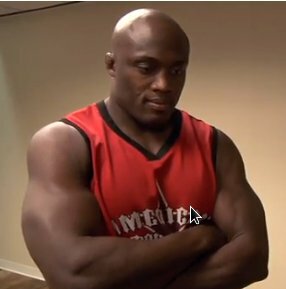 MMA Fighting has an exclusive interview with Bobby Lashley before he fights against Chad Griggs on Strikeforce: Houston. Lashley won five consecutive bout these past three years. His last fight was between Wes Sims where he used the TKO method to claim victory. In the video below, Lashley opens up about his eight-month layoff from MMA, how he handles criticisms and the reason why he wants to fight fight former WWE colleague Dave Bautista in the coming months.